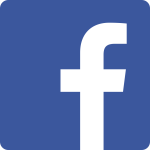 Home > WordJack Media Marketing Blog > Has Facebook Killed the Value of Your Business Page? When a business page posts something, that post only appears in the feed for a small percentage of their fan base (the people who have “liked” the company). So if WordJack has 3,000 people who like our page, and I post a comment that appears in only 30 people’s feeds, that post got 1% organic reach. This is the maximum exposure you get without paying. About a year ago (Sep.-Dec. 2013), we analysed over 1,300 Facebook posts from about 30 of our clients’ pages. Back then, average reach per page ranged from 2%-20% (average of 9.8%) for each page in that 4-month period. So it’s fair to say that even 12-18 months ago, organic reach was not sky high. There are too many posts (stories) flying around on Facebook, and they need a way to prioritize the stories to show people the ones that are most important to them. As part of this prioritization, Facebook will more heavily favour posts from friends and decreasingly favour posts from pages (companies/organizations). 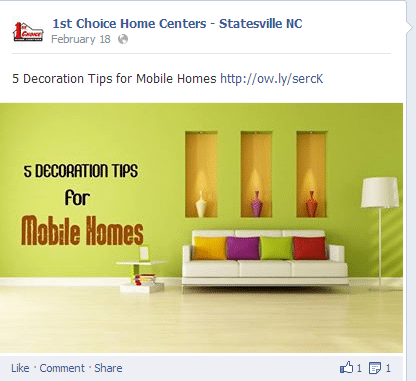 To increase the audience that businesses can reach on Facebook, they will need to pay for ads. So where does that leave you as a business owner? Has the money/effort spent on growing page likes been wasted? HOPEFULLY NOT – You have probably reached a lot of people in that time, and based on these numbers, you are still able to reach a set of them. But those likes are certainly a depreciating asset. Let me put it this way – if you gave me the choice of 10 opted-in customers on my email list or 100 more customers who like my Facebook page, I’d take the emails! Is it worth continuing to spend money/effort on getting more LIKES to my page? Is this the end of Facebook as a marketing channel for small business? NO – But it does require you to change the way you use Facebook and critique it differently. As long as those organic daily reach numbers are decent, keep talking to your fans. If you feel like your fan base is a better targeted group of people than any group you could profile using FB ad targeting, then you could “pay to reach your own fans” with paid ads. You could switch your use of Facebook to being just another ad network. If your target audience can be better defined by demographics (like 25-35 year old females who like basketball) rather than what they search for in places like Google, then Facebook may be a good ad network to use. But you’ll want to look at the quality of the traffic they deliver – do they result in the actions/goals you are looking for in your visitors? And finally, don’t forget a Facebook page is still a valuable citation and a place where your brand is represented. So be mindful about how your business is portrayed there. This Facebook change is more of a trend, so each business might have a slightly different take on these 5 questions. Our WordJack marketing managers are working with each of their clients to determine the best role for Facebook in their marketing in 2015. I’d recommend all local businesses consider these shifts and re-evaluate how they can best use Facebook for their marketing this year.